Put your problem-solving skills to the test as you navigate over 100 levels and 11 different stages full of perplexing puzzles. 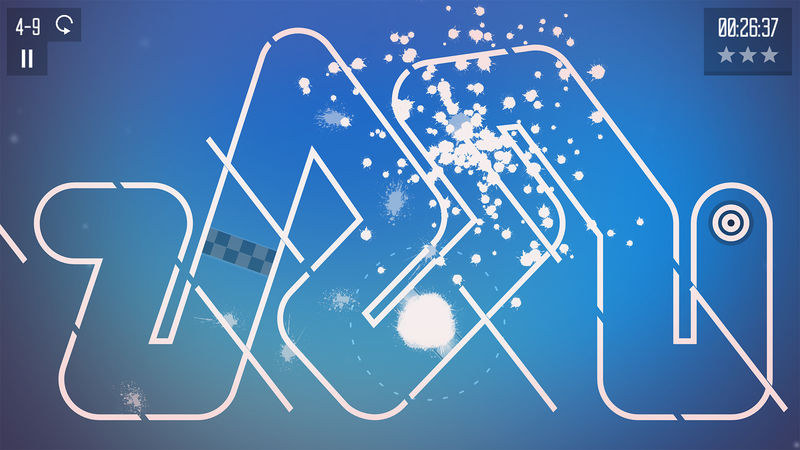 Watch out for moving obstacles as you maneuver through each level. Think fast, if you’re too slow, the ghost may catch up to you. Hustle to reach the finish before your time is up! Each stage of gameplay adds a new challenge with an ever-increasing difficulty. Don’t be fooled by appearances, Spiral Splatter will stump even the most adept puzzle game aficionado. The pc version of Spiral Splatter has full controller support and is available on Steam for PC, Mac & Linux! 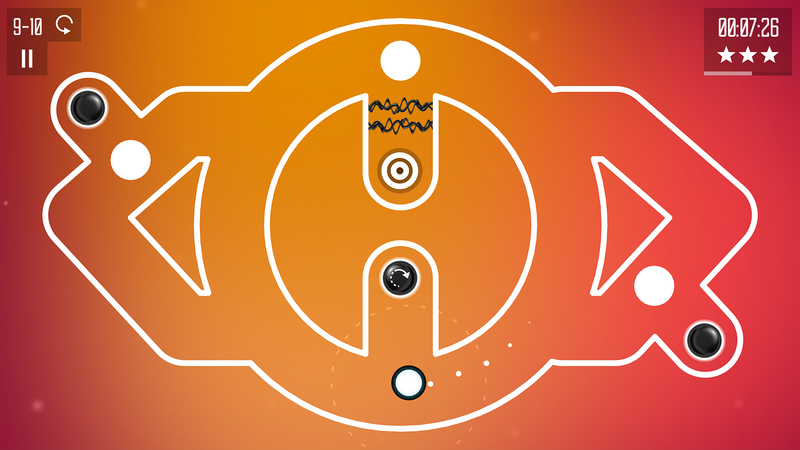 Spiral Splatter is now available for iOS! 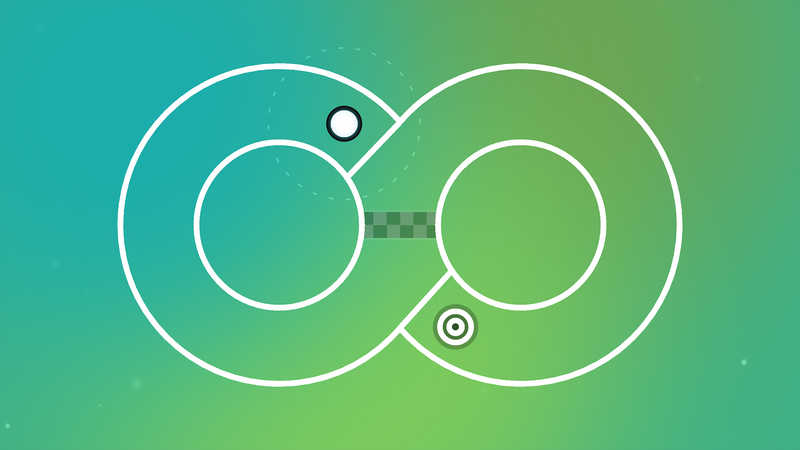 Spiral splatter, a brain-bending arcade puzzle game that will push your hand-eye coordination to the limit is now available for free in the Appstore! Spiral Splatter Announced For iOS! Spiral Splatter is an arcade/puzzle game that tests your hand-eye coordination while it picks your brain with mind-boggling puzzles!